Richard Dawkins is perhaps the most well known atheist in the world. For the past few decades he has been one of the most vocal critics of religion (and especially Christianity) as being both dangerous and delusional. In his popular book The God Delusion, Dawkins critiques some of the classic arguments for God’s existence, including arguments for design. And he is confident that Darwin essentially “destroyed” all the evidence for God. While I have offered an in-depth critique of Dawkins and the rest of the “New Atheists” in my book Is God Just A Human Invention?, my point here is to show that Dawkins unwittingly embraces design. Dawkins considers himself hostile to “fundamentalist” religion because he believes it thwarts scientific progress. As a case in point, he refers to the “sad” case of Kurt Wise, who is a Harvard-trained paleontologist that studied under Stephen Jay Gould. Dawkins says that Wise was once a “highly qualified and genuinely promising young scientist,” who could have fulfilled his boyhood dream and gotten a professorship at a “real” university instead of Bryan College, where Wise worked when Dawkins published his book. According to Dawkins, tragedy struck when Wise decided to embrace young-earth creationist and reject evolution. Dawkins describes Wise’s journey as “terribly sad,” “pathetic,” and “contemptible.” Rather than embracing evidence and reason, Dawkins says that Wise did “ the fundamentalist thing and tossed out science…along with all his dreams and hopes.” Clearly, Dawkins thinks Wise failed to live as he should have lived and is an example of a human catastrophe. Whether you agree with Wise’s theology and decision is beside the point. The question is—on what basis can Dawkins condemn Wise’s actions as misguided? After all, Dawkins has been careful to say that there is no genuine design in nature, but just the appearance of design. Given Dawkins’s atheism, there is something odd about his lament, for it seems to require that Dawkins accept something about the nature of human beings that his atheism seems to reject. Dawkins harshly criticizes Wise for embracing a religious belief that results in Wise not treating himself and his talents, intelligence, and abilities in a way appropriate for their full flourishing. That is, given the opportunity to hone and nurture certain gifts—for example, intellectual skill—no one, including Wise, should waste them as a result of accepting a false belief. The person who violates, or helps violate, this norm, according to Dawkins, should be condemned and we should all bemoan this tragic moral neglect on the part of our fellow(s). But the issuing of that judgment on Wise by Dawkins makes sense only in light of Wise’s particular talents and the sort of being Wise is by nature, a being that Dawkins seems to believe possesses certain intrinsic capacities and purposes that if prematurely disrupted results in an injustice. So, the human being who wastes his talents is one who does not respect his natural gifts or the basic capacities whose maturation and proper employment make possible the flourishing of many goods. In other words, when Dawkins criticizes the behavior of Kurt Wise, he presumes a proper functioning for human beings about how they ought to act. And his critique of Wise assumes that Dawkins believes he has fallen short of living according to that standard. But if the world really lacks design, and is inherently purposeless, as Dawkins claims, then on what basis can he criticize Wise? The answer, of course, is that he cannot consistently do so. It seems that we are left with two options. Either there is no design in the world, as Dawkins claims. If so, then his critique of Wise is misguided and incoherent. Or there really is design, but this undermines the entire basis of Dawkins’s critique of theism in The God Delusion. Or maybe there is a third option. Maybe there really is design in the universe. And even though Dawkins does not believe in God, he is still made in the image of the very God he rejects, and as a result, he simply can’t escape making normative claims about reality. This option makes the most sense to me. 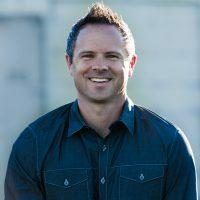 Sean McDowell, Ph.D. is a professor of Christian Apologetics at Biola University, a best-selling author of over 18 books, an internationally recognized speaker, a part-time high school teacher, and the Resident Scholar for Summit Ministries, California. Follow him on Twitter: @sean_mcdowell and his blog: seanmcdowell.org. Richard Dawkins, The God Delusion (New York: First Mariner Books, 2006, updated in 2008), 100-136. Francis J. Beckwith, Taking Rites Seriously (New York: Cambridge University Press, 2015), 164-165. *I want to give full credit to Beckwith for drawing my attention to this inconsistency in how Dawkins critiques the decisions of Kurt Wise.